Happy Memorial Day everyone! 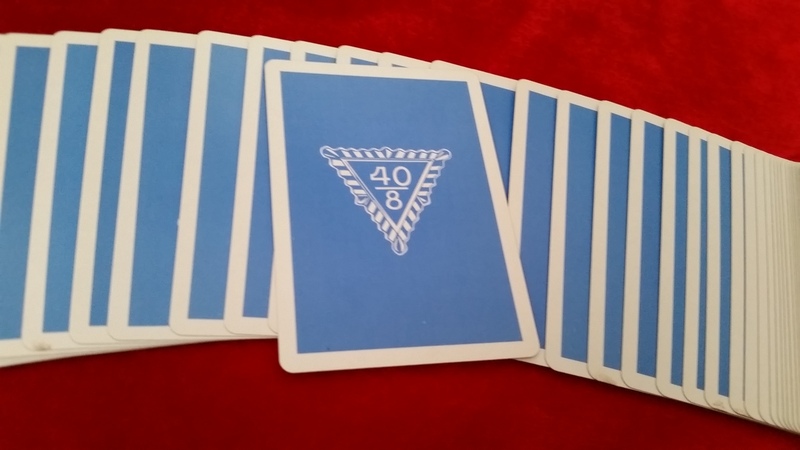 and what better deck to present from my collection than the Forty and Eight Veterans deck! I scored these off of Ebay for 30$ for the pair. I saw 5 of them go for 15 a week earlier…..missed that one T_T. 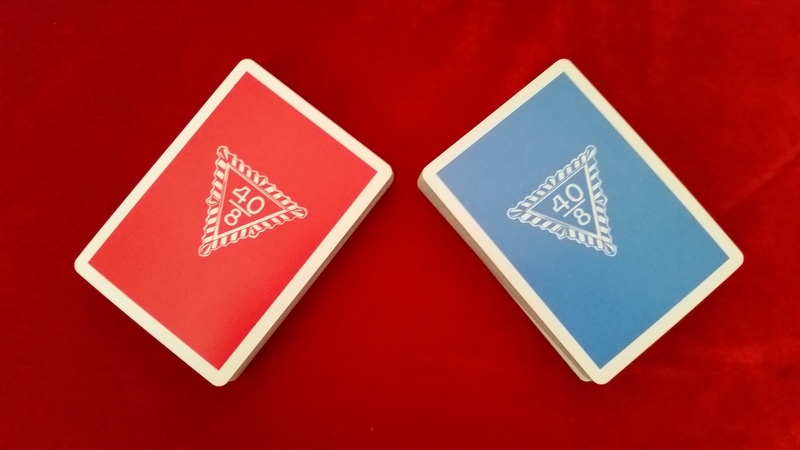 Blue one was open, near new, red one was sealed and I opened it. Pretty solid cards. Don’t have a year for them though as the Litho Ace of Spades has no serial number. 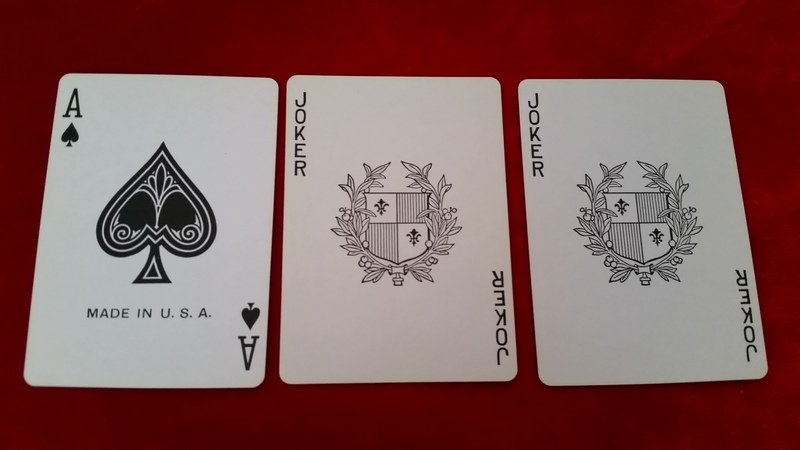 Also comes with those 2 shield jokers. 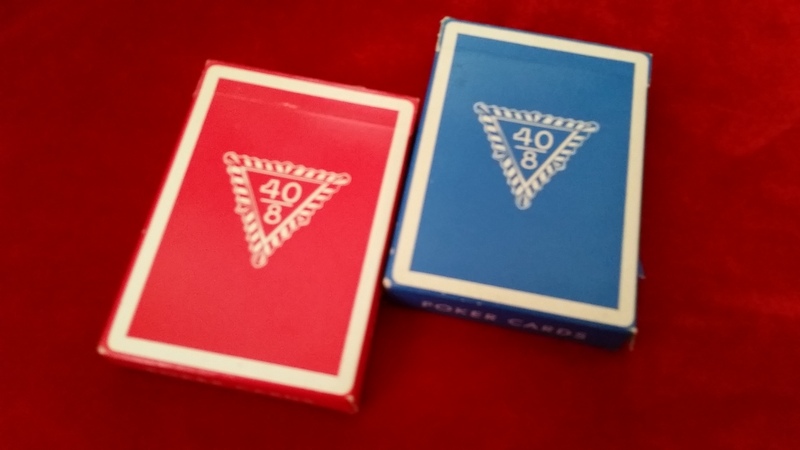 Anyways, the logo is from Forty and Eight Veterans according to ebay, and a number of these decks were made for the organization. The seal stamp seems to be the tearable stampy kind, so its vintage in a sense. The feel of the card stock is that waxy snappy old casino card feel, has a pretty strong snap out of the box for its age. The cards don’t have any of that air cushion holes though. 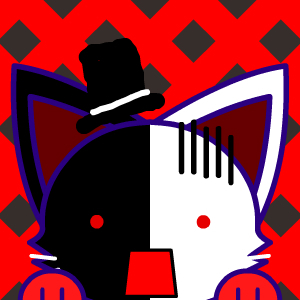 Back design, its pretty minimal with a one way design, good for flourishing, not so much card magic unless you dont care for one way backs. 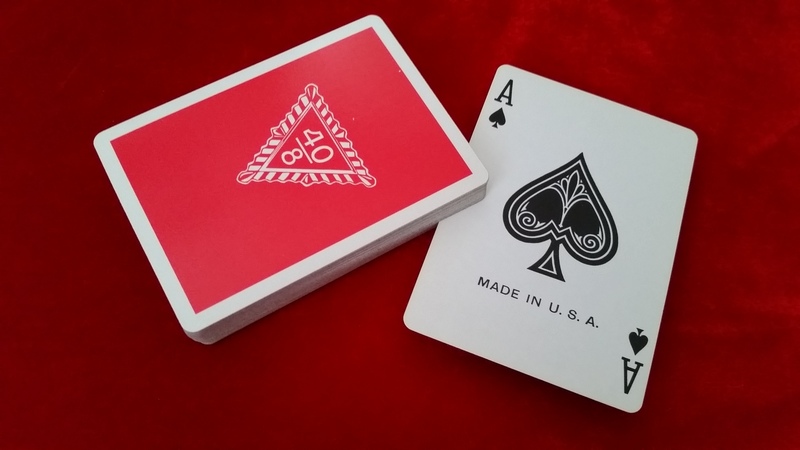 The box is simple and reads poker cards and playing cards. Its got that long tongue flap too which dates the box a while back as well. Well. which one is it? they’re poker size though. I would definitely get more if they show up on ebay, seems pretty rare to find. If anyone has any info on these decks feel free to drop a comment. So clean. So Crisp. So vintage. Wow. Tune in next time for another mild installment of Kudos’ Stash!